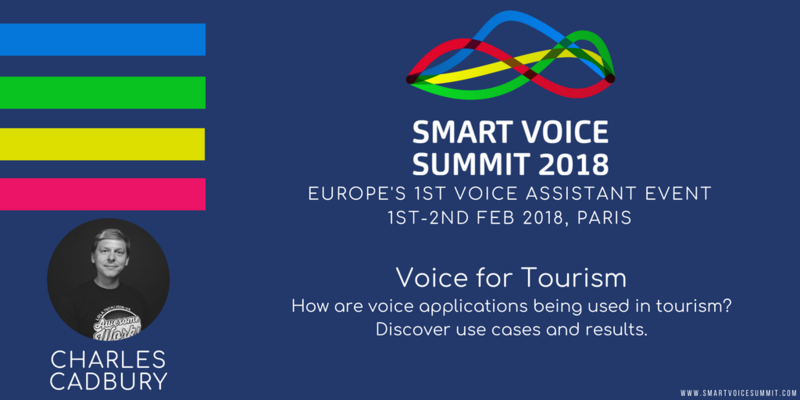 Charles Cadbury, the co-founder of Dazzle, a voice activated personal assistant for the travel industry, will be speaking at the Smart Voice Summit to discuss how voice technology is being used in the tourism industry to enhance customer experience. We caught up with Charles to find out more about his motivations for creating Dazzle, his views on the UK voice ecosystem and what he is looking forward to most at the event. WHAT WAS THE MOTIVATION FOR STARTING DAZZLE AND WHAT WAS THE PROBLEM YOU WANTED TO SOLVE? We had been looking at what might be the future of the interface for a while and smart speakers consolidated our thinking that conversation was the spearhead for a post GUI world. Dazzle solves the problem, that customers can’t easily communicate with travel providers to obtain key services, with a platform that provides simple, conversational access for informational, operational, and transactional requests. WOULD YOU AGREE THAT THE UK VOICE ECOSYSTEM IS IN GOOD SHAPE AND ON A GROWTH PATH? It’s in excellent shape for this. We have seen huge investment by the major global technology players who are all positioning their ‘assistants’ front and centre of their offering which is driving market understanding and adoption of the necessary hardware. WHY DO YOU THINK THERE IS SO MUCH EXCITEMENT ABOUT VOICE TECHNOLOGY RIGHT NOW? IS IT ABOUT TECHNOLOGY ADVANCEMENT OR MARKET READINESS? There’s some magic about being to speak into the air and an ethereal assistant helping you on your journey through life. The technology is still very early but we all now have a nascent understanding of the technology adoption and improvements curves and can see how much better these technologies will become over the next few years. We have also all grown up with science fiction movies showing us how these assistants work…. PLEASE TELL US MORE ABOUT THE ADOPTION OF VOICE TECHNOLOGY WITH REGARDS TO THE TOURISM INDUSTRY IN THE UK? It’s all about personalised experiences. The more engagements you can have with a travel provider on digital channels, the more personalised that experience can be to your needs. This is the main driver as it delivers benefits both to the customer in terms of experience and the provider in terms of data and operational efficiency. WHAT ARE YOU MOST LOOKING FORWARD TO AT THE SMART VOICE SUMMIT? In the early days of mobile there were relatively few practitioners and they held a sense of community that gets lost over time. With voice we are back at the beginning of a voyage of discovery and I’m looking forward to meeting the other people at the forefront of exploration of these technologies. Join Charles and representatives of pioneering voice brands such as the BBC, Sephora, Boulanger and The Financial Times at The Smart Voice Summit on the 1st and 2nd February 2018!